Something that inevitably happens when talking about Sonic the Hedgehog is how the series jumped to 3D. Many people believe that the games were at their best when the focus was on 2D gameplay, and lamented the lack of 2D Sonic games for years. The one thing you don’t usually hear about is how SEGA never really stopped making 2D Sonic games. Shortly after the SEGA Dreamcast ended production and SEGA became a third-party developer, they began releasing some of their key franchises for other consoles. While ports of Sonic Adventure 2 and Phantasy Star Online were being made for home consoles, SEGA also set about expanding into handheld console development on Nintendo’s Game Boy Advance. Co-developing alongside Japanese studio Dimps, SEGA would create a brand new entry into the Sonic franchise with Sonic Advance. Sonic Advance was released on December 20, 2001 in Japan, with releases in NA and Europe in February and March 2002, respectively. Being the first original Sonic game on a Nintendo console, the game was very well received, selling over a million copies worldwide. The game stayed with the tried and true 2D formula. It included multiple Zones, special stages, and playable characters. The game also served as Amy Rose’s 2D playable debut. The game did so well that SEGA would go on to make 2 more games in the Sonic Advance series. Sonic Advance 2 was released almost 1 year later on December 19, 2002 in Japan. A Western release came 3 months later in March 2003. Another well received entry in the series, it too would sell over a million copies worldwide. The game was not much different from it’s predecessor in terms of gameplay (if it ain’t broke...). It would serve as the introduction of then newcomer Cream the Rabbit into the Sonic franchise, who could run, spindash, and fly by flapping her ears (making her closer to Tails in terms of gameplay). June 7, 2004 was the day Sonic Advance 3 would hit store shelves in Japan, with the rest of the world getting it later that same month. While the game kept the same characters and 2D gameplay from previous Advance games, it would mix things up in multiple ways. It had explorable hubs for each zone, and collectable Chao hidden throughout the hubs and zones. The most significant change was the tag team system, where the player must select 1 main character as well as a partner from the remaining 4 to form a team whose abilities would change depending on who you chose. For example, if you chose Sonic & Tails, Sonic played like he did in the previous game. But if you chose Amy as Sonic’s partner, Sonic would no longer spin while jumping and would be able to use Amy’s hammer for attacks. The final game In the Sonic Advance series, it sold as well as the previous entries, despite mixed reviews concerning the team mechanic. These 3 titles were all excellent entries in the Sonic franchise, and are mostly overshadowed the more prominent console games that have been released over the years. 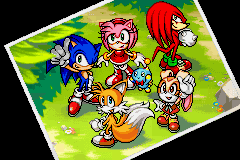 They are excellent examples of not just a good Sonic game, but a good 3D game, and deserve a little more recognition for their place in Sonic history.